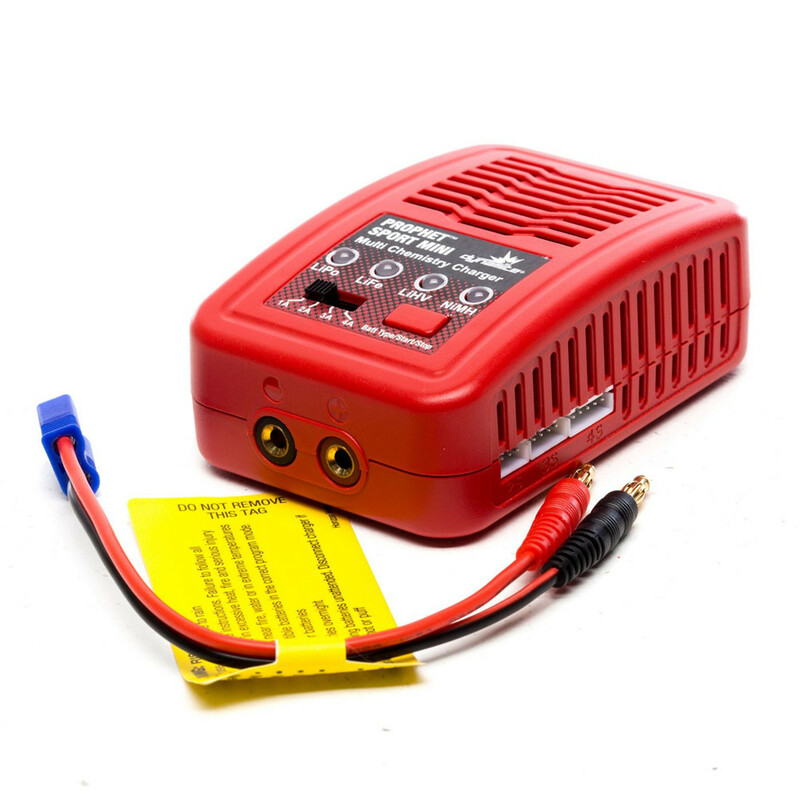 The Prophet Sport Mini charger is an affordable and versatile AC powered charger that can be used to charge car, truck, boat, aircraft and quad batteries. With the ability to charge 2S, 3S and 4S Li-Po batteries as well as 6-8 cell NI-MH batteries at selectable charge currents, the Prophet Sport Mini combines quality, value and performance to give you a convenient and easy tool to handle all of your charging needs. Built to last, the case is designed to disperse heat to keep the unit cool while the small footprint helps save space. LED indicators display charge status and easily selectable charge current and 1-button start/stop make operation a breeze. Don't let the Prophet Sport Mini's size fool you. With a built-in 50W charge circuit, the Prophet Sport Mini can cut your charge times in half if you're using an RTF/RTR overnight or wall charger.